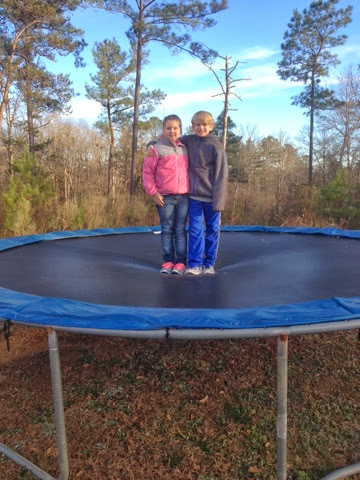 Wednesday, Jan 8th: It was finally "some what" warm enough to enjoy some time outside after school... A little trampoline time was just what these two needed to burn off some energy! However, they did not stay long and came in frozen! 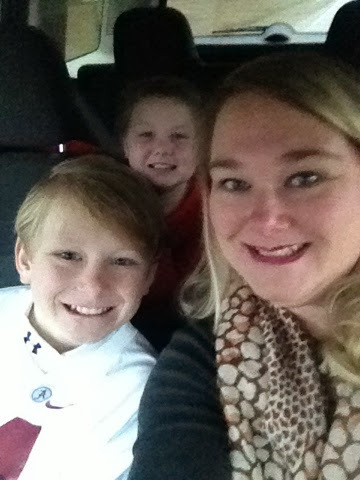 Thursday, Jan 9th: Jackson started taking allergy shots in late fall; we go every week to get a shot and then we have to wait 30 minutes after the shot to make sure he doesn't have a reaction! 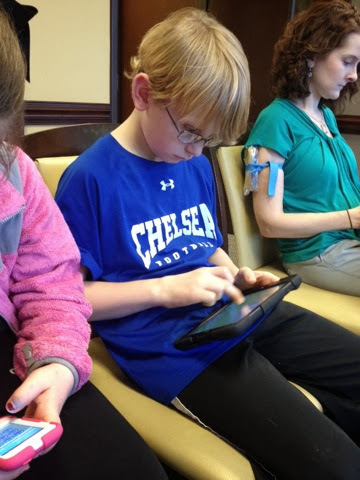 So we have lots of ipad time while we wait. He has done AMAZING with the shots and it has helped him so much! Friday, Jan. 10th: It's Finally Friday!!!! We survived the first week back to school!!! Now the 3 late start days helped for sure! I subbed at the middle school today so we were all dressed and ready to conquer Friday at school and welcome the weekend! Sat. Jan. 11th: First Basketball Games of the season!!!! This year both Jackson and Brylee are playing basketball! I know you are all shocked that Brylee is playing basketball! I was shocked she wanted to play and equally shocked at how well she did! This is her first year to every play basketball and ever play a team sport for that matter; well unless you count t ball when she was 4 or cheerleading! 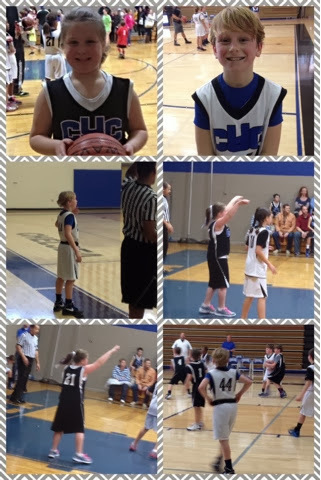 She played every second of the game, did exactly what her coach told her to do, ran up and down the court playing great defense, even got a few rebounds, made her free throw shot, and just all around played great! We are so proud of you Brylee! Her only complaint is the uniform! She said "this uniform is awful"! Ha! I would agree baby girl! It is pretty bad! Jackson did great too! Neither of them won their games but they both played hard! Sunday, Jan 12th: Sunday Lunch! I love me some Sunday after church lunch! Coming home and cooking lunch after church is for the birds; I would much rather just grab something out! 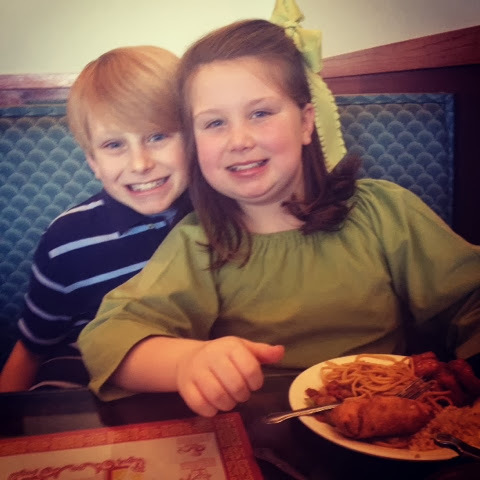 This week we went to the Chinese buffet; the kids love to go here! Monday, Jan 13th: Today was a crazy morning I got called to sub at 6:30am and was really not prepared but we all made it work! Thank goodness it was PE! It was a little crazy there for a minute or two! 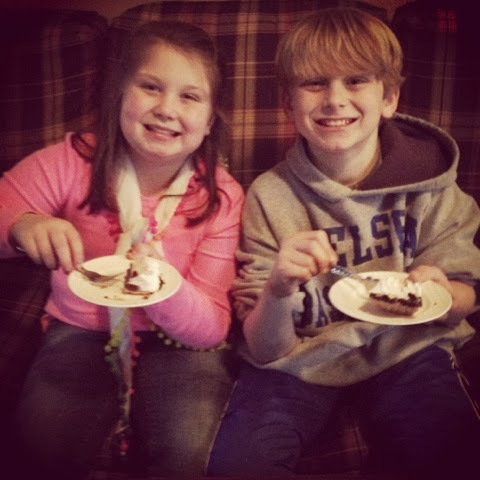 So what better way to end a crazy day but with chocolate pie for an afterschool snack! It makes all rainy Mondays better! 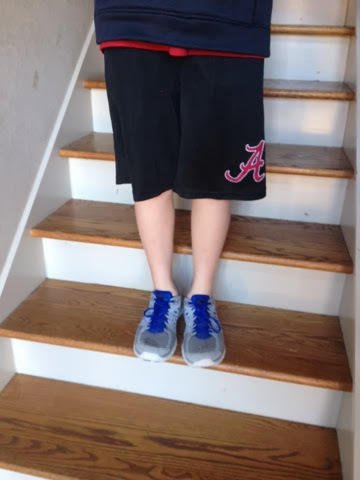 Tuesday, Jan 14th: Shorts in January! Yep! Welcome to Alabama weather where it is 12 degrees, high in the 60's, and prediction of snow all in a 7 day period! JP is like his daddy looks for any opportunity to wear shorts!!! So we made a "rule" if it's a high of 60 or above you can wear shorts; and don't think he doesn't check the weather every morning! So there you have it week two of 2014 in the books! We had a great week and we hope you did too!